Are you a potential renter? The Multiple Listing Service now includes residential rentals, not just properties listed for sale. 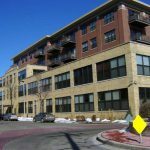 Condo Milwaukee has immediate access to new information, updated daily, about short, or long term leases. Renters don’t pay any fee for this service. 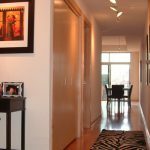 Are you a condo owner looking to rent your place? I can match you up with a prospective renter. 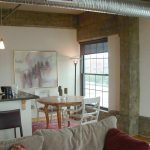 12/1/11 Spacious 2 BR/2 BA Downtown Milwaukee Riverfront Condo for Rent – RENTED! 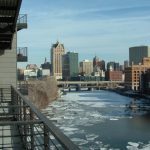 East Side 2 BR/2BA condo on the Milwaukee River. $1750. per month. One attached underground parking space is included in the rent. Square footage of 1269 sq. ft. is per City tax record. Twelve month lease required. One month security deposit required. Bright northwest corner unit, with many windows overlooking the river. Living area features an alcove with windows on three sides for a panoramic river view, and access to the balcony that has a gas hook-up, and east and west views of the river, and of Reservoir Park. 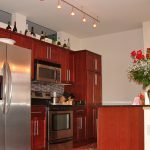 Kitchen opens to living area and has all appliances, including microwave and dishwasher, plus corian counters, undermount sink, wood cabinets, and extra cupboard storage space above the breakfast bar. The two large bedrooms each feature a private bed/bath floor plan. The MBR has oversize corner windows, ample space for furnishings, a walk-in closet, and a bathroom with jetted tub and European style shower head. 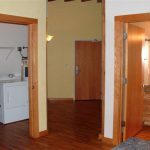 The second bedroom has a large western facing window, a double closet, and a bathroom with shower over tub, a stacked washer/dryer closet, and access to the unit foyer. 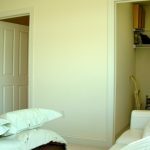 The unit has neutral, light beige carpet except on the kitchen and bathroom floors. Window treatments are included. There is an entry closet and additional storage on the same floor as the unit. 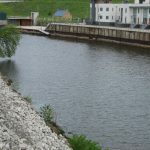 There is direct, secure access to the Milwaukee Riverwalk from the main floor of the building. This is an elevator building. The lobby and entry to the garage are both secure. The building is nearby public transport, many entertainment venues, shops, grocery, and river and park attractions. 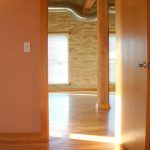 4/1/11 Downtown Milwaukee waterfront condo for sale or for rent – RENTED! Over 1100 sq. ft., 1 Bedroom, 1 Bath, 1 underground parking space. Water views of bend in the Milwaukee River and of Lake Michigan from both east-facing Great room wall of windows and from wide balcony. Screened, sliding patio door to let those lake breezes waft into this 6th floor unit. Open concept, approx. 20′ x 20′, living/dining space with easy care wood floors. Kitchen with island sink, granite breakfast bar, stainless appliances, cherry cabinets. 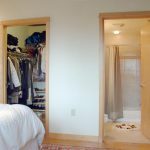 Convenient walk-in closet between bedroom and bathroom plus in-unit laundry closet. Newer, pet-friendly, building offers many common amenities including multiple elevators, 24/7 concierge services with controlled building access, meeting room with kitchen, exercise room with multiple machines, game room with kitchen, and theater room. Condo fees under $300. per month. For rent for $1750 per month. Please call Paul Kurensky for details. 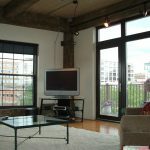 1/1/11 2 BR plus den for RENT on the River. RENTED! 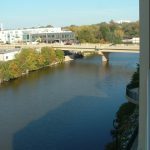 Large condo right on the Milwaukee River. 2 bedrooms, plus a den. 2 bathrooms. Approx 1600 sq. ft. Rent $1775 per month with a years lease OR one month free rent with an 18 month lease. One underground, heated parking spot is included. Optional extra space for an additional $85 per month. A storage unit is also included in the rent. 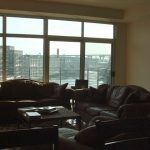 The condo unit features hardwood floors, in-unit washer and dryer, a large patio with river views, and a gas grill. Available January 1. Over 1600 sq.ft. 2 bedroom, 2 full bath unit. $1700/month. Steps to the Third Ward. Steps to Downtown. Spacious and bright loft conversion with high beamed ceilings, cream city brick walls, oversize windows and hardwood floors throughout. Private master bedroom and bath suite with walk-through dressing room in between. 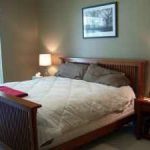 Large and private south-facing second bedroom with walk-in closet. Second full bath near foyer . Ceiling detail. Post and beam, ceiling fan, track lighting. South-west facing living room with corner gas fireplace and track lighting.. Kitchen with granite breakfast bar, and new stainless steel appliances. Laundry room convenient to roomy foyer. Second full bath. Room-sized foyer with handy in-unit laundry room. 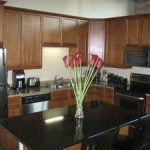 All kitchen and laundry appliances included. Dressing room is between master bedroom and bath, in a private suite. View of living room corner gas fireplace from granite breakfast bar. Assigned extra storage area. Community fitness room. One assigned outdoor parking space near building entry. For a private showing, call Paul. 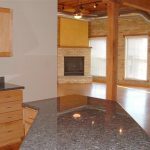 10/10/10 Third Ward 2BR/2BA condo for rent- RENTED! In the heart of the desirable Third Ward area. $1595/month. Secure, enclosed walkway from attached garage parking. One space included in rent. Spacious NW corner loft style unit in newly converted warehouse building in the Third Ward. 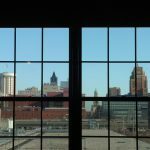 Over-sized windows frame downtown views by day & by night! 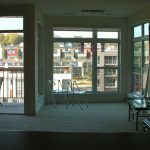 Transom windowed glass door leads from living room to 16′ balcony. Ensuite, master bedroom with bathroom and walk-in closet. 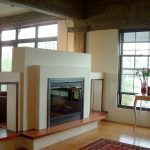 Double-sided, raised hearth, electric fireplace faces into both living room and into den. Den could be used as a second bedroom. Hardwood floors throughout. Custom, room darkening fabric window shades & drapes. Eat-in kitchen with island sink and breakfast bar, stainless steel appliances, maple cabinets, granite counters. 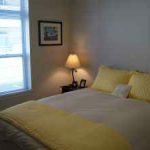 Ceramic tile and ample closets in both master and second bathrooms. 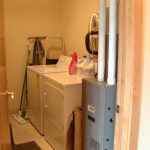 Separate, in-unit utility room with washer/dryer and extra storage. 07/07/10 Condo rental available. 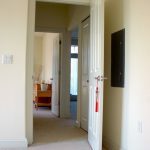 Private entry from garage to unit RENTED! AVAILABLE AUGUST 1 for 12 month lease. $1450. per month. All the convenience of a first floor unit plus the privacy of your own street level entrance into the unit. 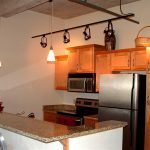 Rent includes a parking space, in a heated attached garage, right outside a second private door into the unit. West facing, approx. 900 sq.ft. 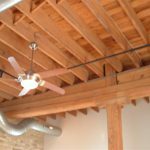 unit features an open-concept living space with 16′ ceilings, cream city brick, and hardwood floors. Recent upgrades also include neutral finishes and custom blinds for the wall of over-sized windows. Updated, eat-in kitchen is open-concept for entertaining and features a breakfast bar, custom cabinets, granite counters, and stainless steel appliances. 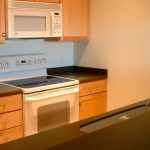 All appliances are included, including dishwasher and microwave, as well as a washer/dryer for the in-unit laundry. The updated bathroom has double sinks, a tiled whirlpool bath, newer fixtures, plus a separate shower stall. Pet -friendly building. Both a cat and a dog allowed with no extra fees. Building also has a large community room and extra storage spaces. 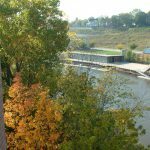 Located up on the bluff in the heart of the Brewers Hill neighborhood, so close to the river and the Riverwalk, to downtown, parks, and the lakefront. As well as assisting potential condo buyers, I also receive many requests from potential condo renters. I specialize in matching prospective renters with a condo, rather than an apartment. 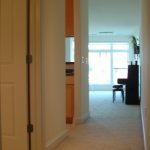 A unit in a condo development often offers a would-be renter a more home-like, less cookie-cutter, setting. 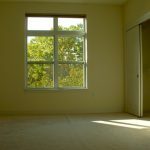 These condos are often made available for rent by a current owner who has been unwilling or unable to sell in this current market. 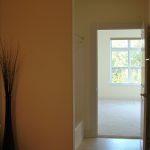 If you are interested in exploring the possibilities of renting out a condo, please give me a call to discuss details. Follow this link to view condos previously rented to customers. 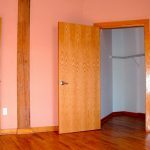 01/01/10 Rent 1600 sq.ft. for $1600 RENTED! Available now. Over 1600 sq.ft. 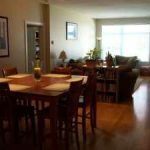 2 bedroom, 2 full bath unit. $1600/month. your busy day. Most units owner occupied so this is a unique opportunity. Spacious and bright loft conversion with high beamed ceilings, cream city brick walls, oversize windows with window treatments, and hardwood floors throughout. South-west facing living room with track lighting and corner gas fireplace with a raised hearth. Kitchen with granite breakfast bar. Pet-friendly, elevator building with secure lobby entrance. 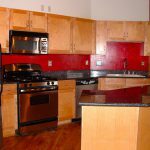 Third Ward 1 BR condo rental-RENTED! Roomy, open concept, 1BR/1BA loft in recently converted warehouse in the heart of the Third Ward for $1000 per month. Landlord will also consider an option to buy the unit. Unit has high ceilings, natural woodwork, stucco walls & two oversized, north facing windows. Use the custom, room darkening shades, or view the downtown skyline with the shades up. 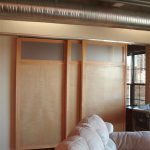 The 11′ x 13′ bedroom area is set apart from the living room by use of a convertible, sliding panel wall that can open to extend natural light into the 17′ by 16′ living area. There are hardwood floors, maple cabinets, granite counters with island sink below the breakfast bar, and stainless steel kitchen appliances. 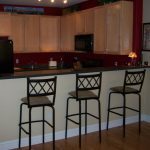 Appliances included are oven, refrigerator, dishwasher, disposal, microwave, washer and dryer. 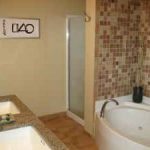 There is a separate utility room with a laundry area just inside the unit foyer and a large bathroom finished with ceramic tile, vessel sink on vanity, and linen closet. 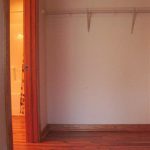 There is plenty of other storage space in unit foyer, hallway, bedroom, and kitchen plus locker space down the hall on the same floor. Rented parking is available, just across the street from the secure building entrance, in the Third Ward parking structure. Summary of pet policy: 2 dogs or 2 cats or 1 dog and 1 cat. No size restrictions. No extra fees. City breed restrictions apply.